Description: Discarded beauties from the past can be put to good use today with a bit of imagination. Take, for example, beautiful leather suitcases, casualties of the era of luggage on wheels, that can be given new life when transformed into mobile libraries. 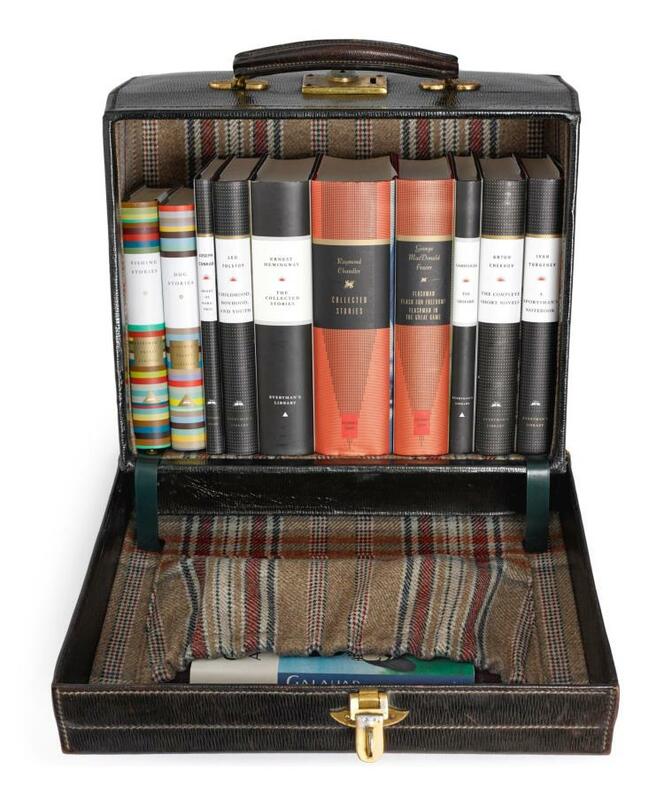 The perfect accessory for a guest bedroom, study, or to take on a trip. Huntsman asked Everyman's Library, founded in 1906 by visionary publisher Joseph Dent, to fill the case with eleven essential literary works carefully curated for the modern gentleman. Condition: Books in new condition. Case has some scratches, scuffs and wear commensurate with age.